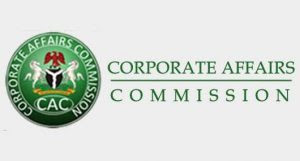 The Corporate Affairs Commission (CAC) on Tuesday revealed that it had registered 3,098,193 companies and firms in Part A, B and C categories from its inception in 1990 to March 21. She explained that in 2016, the council got the sum of 175,098 from the LLC (A), 193,194 from Business name (B) in 2017 and 252,035 from Incorporated Trustee (C) in 2018. Azuka said the number of Annual Returns filed under the Parts A,B and C in the last three years was 190,078. She said the commission remained resolute in reviewing its processes regularly, in a bid to improve service delivery. “In that regard, work is at advanced stage to amend it enabling law, the Companies and Allied Matters Act (CAMA) in collaboration with the National Assembly.